Toward the re-invention of fair trade. The case of Central America. The Fair Trade Movement (FT) emerged in the face of unfair trade mediation as an alternative so that people that organize might improve their lives, and to be a space of solidarity among different actors beyond national borders. Nevertheless, in our case study on Nicaragua and Central America we show that the institutionality of the power relationships under elite market governance has been capable of setting FT against its own principles and turning solidarity into a mere formality. How can FT resist this market force and at the same time deepen its alternative FT principles? Taken as given that there are cooperatives, organizations and people that prove the importance of organizing and cultivating global solidarity, in this article we study certain practices of this FT network that seem to point to its involution, and on that basis we suggest that FT needs to reinvent itself. To do so we focus on coffee, which constitutes 70% of what is sold as FT. The FT movement began in 1964 within the framework of the UN Conference on Trade and Development (UNCTAD). In 1973 trade in FT coffee began with Guatemalan cooperatives under the brand of “Indio Solidarity Coffee”. In the decade of 1980s the volume of products increased, and their design improved: solidarity stores sold combinations of coffee, tea, honey, sugar, cacao, nuts, bananas, flowers and more. In 1988 the “Max Havelaar” seal began operating. 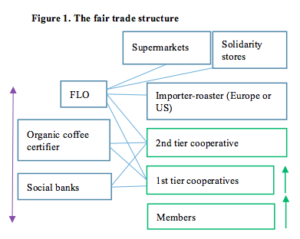 In 1997 the Fair Trade Labelling Organization was created (FLO) so that producer families could confront their adversities and vulnerabilities and improve their organizational skills (MacDonald, 2007). But, according to Taylor et al (2005:204), after having an ATO (Alternative Trade Organization) governance structure with strong roots linking consumers and producers, it shifted toward an impersonal brand and the search for market niches under a conventional strategy. In 2011 FT-USA and FLO divided, the former preached “fair trade for all” increasing even more the volume of coffee traded from producers without regard to whether they were members of cooperatives or not (Valkila, 2014). Parallel to this division, the FT seal faced even more challenges – more competition from other seals with attributes similar to FT. Many coffee buyers and roasters opt for the direct-trade approach instead of fair trade. Many cooperatives face a mixture of governance and “privatization” crises with their resulting turn toward less democratic governance structures. This is an expression of a context of the all absorbing neoliberal market, in which FT increases its volume getting into the conventional market, while it neglects a good part of its principles of transforming unjust trade relations. This all absorbing context is shaping the actors, and at the same time is shaped by them. This directs our attention to the relationship between the structure and the actors (Long 2001). The structural perspective by itself runs the risk of determinism, while just looking at the actors and their actions runs the risk of voluntarism. Structures are expressed in rules and regularities, collective and persistant phenomena, while social actors produce and reproduce the structures, interpreting them in their actions. The structures, like conventional or FT mediation, limit and facilitate the action of the social actors without 100% determining them. Within this structure-actors framework, we propose that FT resolve this paradox of growth with involution by going back to being “alternative” as it increases its current growth, deepens its democratic structures and improves its capacity of governing those markets. To do so, we work with a foundation of information and analysis from various sources. First, we reviewed studies on FT, analyzed secondary data and tested the process of weighing coffee from its cherry to export state, including cupping parallel to what the organizations did. Second, we talked with managers of companies, individual merchants and producers, coffee buyers and roasters from FT and direct trade, inspectors of the certifiers, cooperatives in Europe, social bank officials and directors of international aid agencies; within this framework we studied outstanding cooperatives and associative enterprises in each country in Central America (see Mendoza, 2016a, 2016b, 2016c, 2016d and 2017a). Third, since 2010 we have worked with 35 first tier cooperatives in Nicaragua (20% of the total first tier coffee) and with various organizations from other Central American countries, accompanying them in their actions and reflections, an immersion that has given us an understanding from inside the cooperatives. Finally, we organized spaces for reflection where we triangulated information and analysis with the members, staff and board members of the cooperatives. After this introduction, we present the innovative character of FT. The second section describes the context of the neoliberal market that is absorbing what is innovative of FT. The third and fourth sections discuss the involution processes. The conclusions summarize the principal findings and suggest a path for the re-invention of FT.
From our experience, there are at least two obstacles keeping small producer families from getting out of poverty: the extended family, and their position in the network that mediates their access to markets. The institution of the extended family is a protective network that keeps their members from getting poorer and enables them to survive, but at the same time it keeps them from organizing into other spaces to improve their lives. It is an example of what Woolcock and Narayan (2000:232) have called ‘bonding social capital’: protective social and solidarity networks useful for the survival of poor people, but with the risk of limiting the creation of connections and initiatives that go beyond the close circle with limited opportunities for growth. The latter refers to the mediation network that combines usury, low prices for their products, and cheating on the weighing and the quality control of their products, mediated by relationships of subordination where “the height of poverty is not having anyone to exploit you.” Because in moments of extreme urgency (e.g. illness of some family member) that network provides a certain amount of protection. The institution of the extended family keeps its members from falling into extreme poverty, and at the same time keeps them from getting out of poverty; and the commercial-financial mediation is a mechanism for dispossession combined with palliative help. the face of both institutions, FT responded with an alternative perspective and path. Figure 1 shows the FT framework: cooperatives, certifiers, social banks and buyers who operate under the FT seal. On the right side is the chain of actors what revolves around coffee, and on the left are the organizations that support that chain. In principle it is social justice and not the power of the market that moves these product chains, actors and social relations. 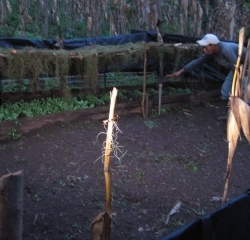 Consequently, first, for the producers to avoid usury and ensure the supply of the product, they receive loans through their cooperatives on the part of social banks and coffee buyers (companies, stores and cooperatives from countries in the North); a good part of that credit is pre-financing worth 50% of the value of the product that they are going to buy at an interest rate of zero. 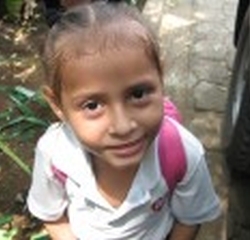 We reinvest the profits of your purchases in the producers and their communities. This is in addition to the FT premium that we pay the producers. As a minimum we reinvest a third of our profits, and so far we have reinvested more than 50% of our earnings. We believe that the producers are the best ones to decide how these earnings should be invested in their communities, and so since 2009 the development projects have been managed by Cafédirect Producers’ Foundation (CPF), an aid organization led by producers for producers. Second, to keep the producers from falling into extreme poverty because of the price paid for coffee, and to incentivize sustainable agriculture, FT sets a minimum price of $1.40/lb, provides $0.20/lb as FT-premium, $0.30/lb as organic premium and a quality bonus for an additional amount that varies by buyer. (See Figure 2 for the historic comparative evolution between market prices and FT prices). The FT premium is tied to a plan that the cooperative establishes (Fairtrade, 2009) where $0.05/lb is for families to improve the productivity of their coffee (FT-FLO, 2011. The organic premium goes directly to the producers. Third, in order that the product be traceable and trust be built up over long term relationships, there are organizations that certify compliance with agreements and policies; for organic coffee international certifiers do it, for the FT premium and practices FLO CERT does it; the buyers stick to what the certifiers say, and the social banks to their financial analysis procedures and commercial contracts. Fourth, a direct relationship is established between consumers and producers where the FT earnings the producers themselves manage in their communities, families and farms (see box). FT, in addition to its economic face, is also social, political, environmental and cultural, as its eleven principles indicate: opportunities for economically disfavored producers, transparency, trade relationships, payment of fair prices and salaries, no child exploitation, gender equity, decent working conditions, skill strengthening, promotion of fair trade, environmental protection, and the preservation and defense of identity. Here we highlight the combination of trade, finance and production in a transnational structure of north-south counterparts, with a pluralistic framework of principles of equality and equity. This leads to the families organizing, improving their production, their lives and their identity in family and in the community, and cultivating a direct relationship with consumers. FT is a space for transnational learning and social, economic and environmental transformation, with a commitment of the countries of the north to those of the south, and of consumers to producer families. This novel FT network has become involuted. Here we describe the market and international aid conditions that – in our judgement – have slowly absorbed FT.
Stiglitz (2016) reminds us that the restructuring of market policies increased the inequality and slowed the growth of the economy. Milanovic (2016), studying 20 years under neoliberal policies between 1998 and 2008, found that 1% of the population (the plutocrats of the world) and the middle class of emerging economies of Asia were the winners. Neoliberalism presents us a “natural market” without social and institutional roots, while it promotes markets rooted in the interests of international capital with manipulated regulation. In contrast to this myth of the biased market, we understand markets along the lines of Polanyi (2001), as socially and institutionally rooted. The FT movement constituted a type of market rooted in producer families and consumers under the idea that an “alternative” market is possible and necessary to reduce the inequality. How is that market relationship expressed around coffee, the crop which we are using to look into FT? Considering the formation of the price of coffee in the last 80 yrs, the historical tendency is that the producer families have been losing over time. In the decade of the 1930s, the price to the producer was 33% of the final value of the roasted and ground coffee (Wickizer, 1943), it dropped to 27% in the decade of the 1970s (Clairmonte & Cavanagh, 1988), 15-20% in the decade of the 1990s (Pelupessy, 1999), 10% in 2001 (Mendoza & Bastiaensen, 2002) and 11.67% in 2009 (Mendoza, 2012b); in other words, it went from 33% to 12% in eight decades. The gap between the consumer price and the amount the producer gets has widened; the FT idea that the consumer would pay a higher price to redistribute more to producer families apparently has not happened even within FT itself – producer families do not get more advantages from being part of FT (see Valkilia, 2014; Ranjan, 2017). A second idea of FT was avoiding the intermediary sector to benefit producer families, but it seems that this intermediating sector is the one that has most benefitted, grown and made even more difficult the ideal of communication between producers and consumers. Stiglitz (2002) argued that the problem was not globalization, but its management; 15 years later, Stiglitz (2016) recognizes that its management did not change at all. The case of coffee seems to also be an expression of that reality. On looking into the increase in the value of coffee, we find that the final product has more and more inputs that have increased its aggregate value. This is part of what is called the “supermarket revolution” managed by the demand side, where the wholesale distributor defines the rules and governs the entire product chain (See Reardon et al, 2007). Consequently, if the market demands a certain type of coffee, all the actors rush to respond with the quantity and quality of the coffee defined by the moment. The market has been demanding differentiated and quality products. Countries like Colombia and Costa Rica have conquered the markets for speciality coffees (e.g. close to 50% of the coffee of Colombia is sold as specialty coffee). In contrast FT, it seems, grew in volume and not so much in terms of product differentiation. The FT seal, in addition to being expensive, nearly the same as the FT premium (Valkila, 2014), has lost its attraction to consumers; several seals have emerged proclaiming different environmental and social attributes; buyers like Green Mountain and Starbucks have dispensed with the FT seal; other buyers and roasters have opted for the direct trade approach, because in addition to ecological and quality coffee they want the additional price paid to reach the producers, and not be left in the administrative structures of the organizations. Other models have also emerged, be they in response to the market or as alternatives to it; the Starbucks model, revolutionizing the coffee shops of the world with its own seal; the Capeltic coffee shop in Mexico that emerged from an alliance between a cooperative in Chiapas and the Iberoamerican University, connecting consumers with producers (see Colsa, 2013); a cooperative in Panama that organized the coffee chain from production to roasting (see Mendoza, 2017a). These last two break the elite market model and show that the relationship between producers and consumers, a FT ideal from the 1980s and 1990s, can be achieved by another path different from that of FT. In the same period in which market power rooted in elite interests was growing and FT grew in volume, international aid was increasing. Based on the experiences that we know in Central America, we argue that a good part of that aid helped to “inflate” the cooperatives around the demands of the market, and made the arrival of projects be translated, in the eyes of the members, into FT benefits, contributing to the fact that the organizations neglected efficiency and effectiveness, which accelerated the FT involution process. A good part of investments in dry and wet milling, offices and laboratories were the product of external donations. Generally the technical assistance staff of the cooperatives, many times including the management/administrative areas, were paid by international aid. So the cooperatives, without yet having an economy of scale and the profitability that would have allowed them to have management structures, joined that existing practice of having managers and technicians. That staff, in turn, responded more to those who were paying them, and less and less to the families who were the owners of the cooperatives. These structures, given the boom of projects and fair trade and organic premiums and extra payments, did not have a problem of providing benefits to the members, who believed that those benefits were for being efficient cooperatives and for selling their coffee through FT. In other words, international aid subsidized FT, particularly the growth of the intermediary sector, “inflated” the costs of the certifiers, who charged more because the cooperatives “were receiving donations”, and unloaded tasks of the certifiers onto the technicians of the cooperatives, and contributed to the fact that the cooperatives took on salary structures and investments that were not in accord with their organizational capacity and level of economic growth. The distorted situation that FT imprinted on the cooperatives became a problem when international aid reduced its donations to Latin America beginning in 2008. Then something of the real world appeared: member families who had not improved the productivity of their farms in spite of years of good coffee prices and international aid projects; empty first tier cooperatives, some not even collecting coffee; cooperative structures with administrative-management staff with high salaries unrelated to the economic capacity of the cooperatives. In other words, while the dictatorship of the market rooted in large capital intensified, the drop in international aid “deflated” the supposed capacity of the cooperatives, they began to feel the problems, some sold their assets, others went broke or resigned themselves to having cooperatives privatized by the new elites, and some re-emerged as efficient organizations responding to their members. So far we have seen how the force of the market rooted in the elites and the international aid industry gave shape to the FT network and the cooperatives; they subjected it to the demand for undifferentiated products (commodities) turning the cooperatives into simple companies and “ngo-ized” them, making them dependent on external subsidies. In the last 8 years those forces intensified, reducing FT to just its economic part, and so FT divided, its seal lost competitiveness, its product became more standardized, another approach and organization, like direct trade gained ground and another model appeared that was able to link producers and consumers. Meanwhile trade inequality and injustice intensified; just like the global inequality that Milanovic made evident. How do these mechanisms work? Once an organization is trapped by one mechanism, it pushes it on to the next and so on. Many organizations, even when they fall into the third mechanism, can maintain the formality of their organization – meetings of its bodies, minutes and financial statements – while its insides get eroded, but when they fall into the fourth mechanism, the cooperatives end up as privatized entities. When we compare the conventional chain with the FT chain, the price to the producer, in relative terms (% of total aggregate value), is smaller in the FT chain than in the conventional one, even though in absolute terms it varies: sometimes it is a little bit bigger. There are two reasons for this: the consumer price of FT coffee is higher but its distribution through the chain (roasters, buyers, importers, exporters) is relatively detrimental to the producers; the FT premium and the organic premium for coffee get to the members (producers) in an unequal way: some have not gotten anything for many years. For greater rigor on this data, we triangulated information starting from the members themselves, a process in which we saw the manipulation that is done of the members. In the house of the member we reviewed their receipts where the amount of coffee that was sold was noted, and the prices that their cooperative paid them. We saw that there are cooperatives where the members have not benefitted from initiatives financed by the FT premium, nor have they received the premium for organic coffee for 4 to 6 consecutive years; there are cooperatives where the members have received an organic premium of US$29/qq and even US$15/qq in FT premium in cash and physical investments; and there are cooperatives whose members have received the two premiums between both of those extremes. Source: based on interviews of cooperative managers and administrators. We saw that the intermediary part of FT has grown. This is where the structure of the cooperatives, certifiers, social banks, roasters, distributors and FLO organizations is found. This structure that has grown would also be limiting producers, consumers, FT cooperatives from having a more fluid relationship. In the national intermediate sector of coffee exporting countries, what is noteworthy is the fact that the difference in costs (exporting, administration, processing, taxes and financial expenses) between the FOB price (export value) and the price paid to the producer is enormous. They go from US$30 up to US$45 from cooperative to cooperative. The tendency seen is paradoxical: if the cooperative is a second tier one and has high volume, the gap is larger; if the cooperative is a first tier one, with less volume and members, the gap tends to be smaller. This is paradoxical, because it should be the reverse, more volume of coffee exported, the smaller the per/qq costs, and therefore the price paid to the producer should be greater. If the cooperative belongs to its members, why are the fair trade and organic premiums and the profits in many cooperative getting stuck? First, the intermediate sector has grown by the force of the neoliberal market and the predominant type of international aid, as well as because key actors of this intermediate sector manipulate the rules of the entire FT system. Secondly, the FT certification and organic product costs in terms of their fixed amounts as well as the burden of technical work on the cooperatives are considerable. Third, coffee productivity is not increasing, and some cooperatives are trapped by the “lottery culture” mechanism, of storing in the warehouses coffee that was purchased in hopes that the price would rise and thus “win the lottery”, and many times they do not get those expected prices. When the cooperative loses in a cycle then – as happens in slot machines – they try to “make up for it” in the next cycle; in this process they do not follow the decision making processes of the associative side of the cooperative, as the members lose confidence in their organization and the FT network. These loses, added to the complaints or rumors of the members about what is happening in the cooperative, exasperate the management and some leaders, who see themselves under pressure to consider other options, like the one that follows. Before the 2006-07 cycle 100% of the coffee that the cooperatives exported came from its members. In that cycle international coffee prices began to increase, and the entire FT system grew in volume; for example, cooperatives in Nicaragua went from 10% of total exports of the country in 2006-07 to 28% in the 2011-12 cycle, a great increase normally channeled through FT (Mendoza et al, 2012; Mendoza 2012a). Also in that 2006-07 cycle the purchase of third party (non member) coffee began on the part of the cooperatives, under the argument that they needed coffee to fulfill the contracts with the buyers; and it was with the 2011-12 cycle that purchasing coffee from third parties took off, in some cooperatives comprising up to 70% of their total exports. What is the problem of buying coffee from third parties? Conventional coffee bought from buyers, against whom the cooperatives emerged, is exported as if it were the coffee of the cooperatives. In some cases, that conventional coffee is exported as if it were organic coffee, due to the deficient control on the part of the certifiers, and because of the increasing independence of the business side of the cooperatives which circumvents the associative side of the cooperatives. Given that coffee purchases from third parties (coffee buyers and non member producers) lacks any quality control of that coffee, mixing it with the coffee collected from the members affects the yield (conversion rate of APO coffee to APS coffee), and thus the quality of the coffee of the members. So the cooperatives that most buy third party coffee prioritize their resources for those purchases, which is why the members do not get zero interest loans, some get loans at interest rates of between 12-20%, and the rest do not get any credit at all. The more a cooperative buys coffee from third parties the less it responds to its members. Under this mechanism, the business side of the cooperatives responds less to its members and does not listen to their complaints, because it can buy coffee from third parties with having them demand transparency, reports, loans or technical assistance. 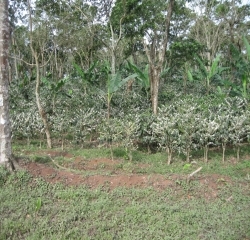 For the administrative structures of cooperatives like this, it is cheaper to buy coffee from third parties (without providing credit, technical assistance nor reports), and in addition it allows them to take advantage of the quality of the coffee of the cooperatives for themselves (lower the yield of the members which means paying them less); while the members and their cooperatives are being cleaned out. In the beginning of the 1990s the cooperatives criticized the private owners of the dry mills for cheating them in the weighing (measuring the degree of moisture) and in the quality control of the coffee in the dry mill. In the face of the market demand for better quality coffee, the cooperatives and the FT network understood that the quality of the coffee could be improved, cheating in the weighing could be avoided, being fairer in the yield (from APO to APS), lowering the costs of the dry milling and getting better prices for the coffee. So they invested in the construction of dry mills and laboratories. In the first decade of this century the quality of the coffee in the cooperatives was felt in the country and around the world, as well as the importance of the cooperatives, and with that the importance of the small producer families (Mendoza et al, 2012; Mendoza, 2012a). In the second decade of this century, within the context of the intensification of the control of the market structures, because of the withdrawal of international aid and the damage the coffee rust caused on the plantations, and the fact that the members did not feel that they were being reimbursed for the improvement in their coffee quality, in large numbers they changed from the caturra variety to catimor, a variety that is productive but of low quality. So a good part of the members began to complain again, this time against their cooperatives, about the fact that they were being cheated in the weighing (measurement of degrees of moisture), the measurement of the imperfect coffee and in the determination of the quality of their coffee. How does this happen? A first dispute is over the weighing: if the scales are calibrated in the different harvest collection centers that a second tier cooperative tends to have, there would be no problems. Nevertheless, in many cooperatives the scales in the harvest collection centers are not calibrated to the central scale in the dry mill, so that is where the complaint comes from that “it weighed so much here, but there (in the mill) they said it weighed something else,” at a loss higher than what tends to be lost in transporting the coffee. The second dispute is about the moisture content of the coffee, that also has to do with weight – table 2 shows data with pretty fair percentages, above which question would be raised. The institutionalized rule for 6 decades now is that there is nothing intermediate: it is either wet coffee or sun dried. If the coffee is wet, 56% is discounted and if it is sundried or moist 42% is discounted. An experience of a first tier cooperative that exports coffee is revealing: “The coffee from my cooperative has a 49% yield; one day I took 100 lbs of wet coffee and I dried it on the patio of the dry mill until it gave me a reading of 12% moisture content, then I put it through their mill and it gave me a yield of 76%; the manager of the mill did not believe me. I did it in their mill! (Leader of a first tier cooperative). This case is exceptional, it is worthwhile to think about what is in play with the yields (conversion APO to APS). One of the achievements of the cooperatives in the decade of the 1990s was that their members got accustomed to turning in sun dried coffee (42%); while in recent years the complaint is that that sundried at 42% is being considered more and more as if it were wet coffee. APO = Arabica sundried parchment; APS = Arabica dry parchment (gross export). The dispute is over the procedure for determining those percentages, and particularly on the rule of sun dried or wet. There is a technology called Moisture Determinator that has a screen to measure the moisture in the coffee to be exported, which should have between 10-12% moisture content. But generally that tool is not used in the harvest collection centers, and in some cases where they use it they come back with ranges that respond to “sun-dried” (42% means 0 lbs discounted), “moist” (42.46% which means a discount of 6 lbs) or “wet” (46-56%) which is a discount of 14lbs. Source: based on a series of interviews of owners of coffee mills, buyers and supervisors of harvest collection and processing areas. more than the value of the FT premium itself. If his second tier cooperative exported 50,000 qq at a 2.20 ratio, using 2.06 as a reference point, its members lost 1,544.5 qq (US$247,131). A fourth dispute is over the percentage of imperfect coffee (see Table 2, dark columns). In the decade of the 1990s the cooperatives also improved the quality of their coffee, and the members got accustomed to delivering clean coffee, and in times of low prices the coffee buyers demanded quality and the coffees traded by FT became known for their good quality (Valkila and Nygren, 2009). This is where the alarm over reports of high percentages of imperfect or second quality coffee comes from. How does imperfect coffee get calculated? 350 grams of coffee are taken and from that amount the number of defects are identified (see Table 4). Then they are weighed and the percentage of imperfect beans is obtained. For example, 4 primary defects are added up and 3 secondary defects, each one of them is weighed (let´s say 5 black beans = 2 grams, , that 2×100/350 grams = 0.57%); likewise with the other defects. Then the imperfection rates are added up and let´s suppose there is a 2.5% imperfection rate in the sample. That is what is then applied to the total coffee through the simple 3 rule. Strictly Higher Grown coffee is specialty grade coffee with 8-10 defects, among which there can be no primary defects. Coffee buyers define the limit of defects for the coffee that they acquire: the smaller the percentage of defects, the more the coffee is worth; and if the buyers ask for coffee with less defects, the more the dry mill works in response. The possibility for manipulation in the imperfect coffee consists in the following: “if the buyer asks for 12 defects as a limit for such and such a price, and the managers ask whether they can accept 15 defects, and if the buyer accepts, the managers report the required 12; the difference of three, weighed in grams and expressed as a percentage of exportable coffee is the managers´earnings” (cupper of a dry mill). This happens because there is no control nor supervision on the part of the owners (members) of the dry mill. Finally, the control over the sieves (size of the beans) and the quality of the cup. There are sieves from sizes 10,11,12…up to 20. Exportable coffee is from size 15 on up. The buyers propose the price of the coffee depending on the size of the sieve. If they want coffee from 17-18 size screen, they pay more than for coffee from 15-16 screen, and if in addition they want coffee that score 85 or higher in quality, the price goes up. The quality of the cup of coffee is calculated on its aroma, acidity, body, flavor and residual flavor, the points are added up and 50 additional points are added (Chemonics International Inc., & Star Cuppers de Centroamérica, 2005). The larger the sieve and the better the cup, the more the coffee is worth, and more work is required to choose the coffee that meets these requirements. The possibility for manipulation consists in that the coffee from the cooperatives has good size and cups well, and therefore would get a good price and require less work, but the members do not know that, so the members are paid as if their coffee did not have such high quality and good size. Some cooperatives that have been trapped by the mechanisms described above end up going broke, others survive because the management structure accepts proposals from some export companies without their members knowing about them: “NY price + 10”. In this case the export company proposes exporting their coffee (the coffee of the company) under the name of the cooperative, which means using the export license and FT certificate of the cooperative. For that operation the cooperative receives US$10/qq for the FT premium, and the company gets the NY price + US$10/qq of the premium. If the transactions are for 20,000qq, for example, the cooperative, without having collected coffee, “only providing their documentation”, earns US$200,000, like the private company. If the cooperative has organic certification, an additional $15/qq is added on. These transactions, that according to our sources are increasing year by year, generally are done by the management structure of the company and that of the cooperative. In most cases, given the confidentiality of those transactions and the huge gap between the management structure and the members, there are enormous personal earnings at the cost of the cooperative and the FT system. This reveals two governance structures, that of the companies with their managers, where they have control mechanisms under the oversight of their “operational owners”, and that of the cooperatives with their management structure, where the control mechanisms on the part of their “owner-members” (members through their bodies) are deficient. This phase means that the cooperatives have gotten to the extreme of being practically privatized, even though they present themselves as cooperatives. Summarizing, the payments get stuck (FT premium, organic coffee premium, quality differential, cooperative premium, additional payment or adjustment), there are losses through weighing and moisture content, the purchase of third party coffee to the detriment of the entire FT chain, manipulations around the percentage of imperfect coffee and the quality of the coffee, and renting out the FT seal and the organic coffee certificates to private companies. This shows the dominance of disastrous mechanisms and the absence of cooperative control mechanisms from its associative side, which leads to the business side of the cooperatives privatizing the cooperatives. It would be difficult for a cooperative to fall into these mechanisms if the FT system, in addition to the role of the members and the bodies of the cooperatives, were fulfilling their functions rigorously, transparently and in accordance with the objectives of FT. How does the FT system facilitate the cooperatives falling into these mechanisms? We note down four modalities: the primacy of formality and form, the idea of the cooperative as an economic individual, the depoliticized perspective of organizations, and the modern asymmetrical relationship of infidelity. Formality refers to the requirements to be met to access credit or a specific certification. Form is the way in which an organization operates. Certification and the analysis of the cooperatives tends to be reduced to the formality of aspects prepared by the management structure of the cooperatives, mediated by a relationship of trial-exam. This includes signed minutes of the monthly meetings of the administrative council, records of activities on organic farms, organic certification forms, the legal documentation of the cooperatives, financial statements and data on production areas and volumes. For example, the record of information on each organic farm is not analyzed by the certifying organizations nor by the cooperative, it is just a formal requirement; likewise the data format on each member and their farm kept by the cooperative. Formality indicates that the organizations are the ones that request the inspection of the organic certifiers, so they make the request at the end of the harvest, when they are now ready to export, which conditions the certifier to have to stick to the formality of reviewing the product in the context of the dry mill, and have to rely on the data received. The certifiers are not accustomed to corroborating the origin of the coffee noted in the report prepared by the administrative staff of the cooperatives, according to which X quantity of coffee is from such and such a cooperative and from such and such a member. The financial statements and the audits are difficult for the members to learn about; even if the members would hear about the report, they are left overwhelmed by the sea of numbers. The audits are a simple formality to say that everything is going well and that “you should correct these receipts and add up those items in X table.” It is thought that that financial report is for the bank or any aid agency. The same thing happens with the information on yields, quality and prices paid. Added to this formality is the way aid organizations operate, mediated by an asymmetrical relationship between the person giving the test and the one being tested, which makes the administrative staff of a cooperative cultivate the logic of complying with what the aid agencies ask for, and makes the aid agencies cultivate the logic of being like a judge who issues rulings (approves, punishes, suspends and cancels certifications, approves or rejects loans). This same relationship happens when the organizations visit a member to “verify”; in the face of this, the member prepares to “pass the test”, in other words, sticks to the orientation of the technical/administrative staff. In other words, the conditions of the formality and form create a favorable atmosphere for the administrative staff to de facto govern the cooperatives. This modus operandi of the organizations is mediated by market relationships. Some organic coffee certifiers charge by volume of organic coffee exported and/or by the producer size, which incentivizes the certifiers to work with organizations that have more volume and that have producers that produce larger volumes, which in turn conditions them to comply only with the formality, not “going to the countryside”, because that would require more time, and in addition any attempt to investigate more about where the coffee came from could lead the cooperative (the management structure of the business side of the cooperative) to prefer to hire another less demanding certifier, which would be a reduction in the income of the certifier. How did things get to this point? FT emerged as a movement. Still in the decade of the 1990s the cooperatives in Central America felt proud to be exporters and cooperative members. They would receive visits from FT organizations in an environment of social commitment and learning under the spirit of being an alternative path. This process of FT became professionalized. Certifiers drew up their procedures, controls and ways of working, while the cooperatives turned into businesses that would sell coffee and NGOs that would execute projects turning in reports to the agencies. Slowly alongside that the movement nature disappeared, which at one time emphasized personalized relationships. These institutionalized practices limited the FT organizations from detecting when conventional coffee from third parties was passed off as organic coffee and as if it were a product of the cooperative, because their way of verification ended with the table of information prepared by the administrative staff themselves, and because their own interest was reduced to the financial return. They did not detect when the minutes to the non-existent meetings were fabricated; and if they fulfilled their role, the person signing the notes would say that he/she were in the meeting, because that person takes on the attitude of someone passing a test, saying what the organizations want to hear. Even though they might know that there are leaders that are in those posts forever, outside organizations stick to the legal documents that provide evidence that the leaders were just named to their posts. So in the organic coffee certification, it does not matter whether the product is organic or not, what matters is fulfilling the formality; the buyers are content to receive the “certification”. The entire chain operates this way. This institutionalization and professionalization entails two ideas. The idea of homo economicus, a rational individual who maximizes his/her earnings and erodes the “alternative” procedural and movement character, moved by the idea of homo reciprocans, the idea of human beings who seek collaboration. We distinguish between “individual interests” where the interests of certain individuals prevail, and that of the cooperative, where the individual interests of its members would have to prevail – which is coherent with that Sen advocates for in “ethical individualism” and not “methodological individualism” (see Bastiaensen et al 2015). The problem is that the organizations that form part of the FT system perceive the cooperatives as if they were something homogeneous, as if the cooperative was an expression of only the business side, only in the figure of the manager, and as if the cooperative was just something economic. So they deal with the manager believing that with that they are automatically contributing to the cooperative. If the perception is that a cooperative is like an individual, the formality and form developed by the organizations to certify and make decisions on loans and purchases end up being optimal. If it is an “individual” before an organization, it assumes that it only has to be based on the formality, and stick to its form; if all the information is centralized, this type of relationship is reinforced. On making a cooperative equivalent to the management, outside organizations legitimize their permanence in that post, while at the same time getting around the entire organizational apparatus that cooperativism entails. If institutionalization (and professionalization) killed the movement nature of FT, and the idea of homo economicus made the alternative perspective of FT disappear, the third element of organizations is their conception of the cooperatives – and all the FT network organizations – as depoliticized organizations where the political is reduced to administrative procedures. Under this idea, the asymmetries and the injustice that we have described in the FT chain are left invisible, concealed a formality, e.g. to confirm that the organic coffee from a cooperative is really organic a lab test is required that costs US$300 according to the certifiers, something that could be part of the formality, but it is something that the certifiers do not tend to do, “because that test the cooperative itself would have to pay for, and the cooperative does not want to do that.” Does it sound reasonable that a certifier would pay US$300 when it earns $3,000, 10,000 or 20,000? Our hypothesis is that the certifiers that were founded to ensure that the organic products were organic, end up being prisoners of the idea that business is business. The same thing happened with the banks and coffee roasters and buyers. The cooperative is seen as only economic – also by critics of FT like Griffiths (2012) who sees the political as something that disrupts the economy. The actors of the chain appear to be focused on the business of producing, processing and selling coffee and on credit services. This is consistent with the conventional approach of the economy, of increasing production by just adding inputs, a slogan that is also repeated by the producers who think that with credit (or more projects) they could improve their production Trapped in this perspective, the prominence of the management and administrative and technical staff increases. This separation of the economic from the political and social, like the separation of the visible (input and output) from the invisible (power relationships, human capacities) makes the focus of the role of any committee to be economic. It is not perceived that the lack of committee functioning, the mutual “lack of oversight” and the formality of the general assembly are expressions of political decisions. The marginal role of the leaders linked to the associative side (the social aspect), and the role of the administrative/technical staff linked to the economic aspect, is the result of that separation and negation of the political aspect in their own actions, which precisely is an expression of the political aspect, concealed by the administrative aspect. The logic of “the justice of the market” is imposed. The social banking sector is built on the purpose of generating earnings; so, if before they worked only with the cooperatives, now they also work with private enterprises. In the case of FLO, their excision can be seen also as an expression of a double standard: it emerged to work only with small producers, now FLO divided into its FT-USA expression also works with large coffee plantations (large business owners), in the face of (or against) precisely those from whom FT emerged. Among the buyers, for example, Green Mountain established itself in good measure within the FT brand, and now can do without the FT seal to dedicate themselves to generating profits, because the FT seal has lost weight in terms of consumer demand – “Business is business.” So the FT seal, which was a means for the small producers to sell their production, was turned into a means for large companies to expand their markets. This disloyal practice toward those “from below” is reproduced along the chain. “From above” the idea is that those “from below” should be loyal, without protesting and leaving, integrated into the logic of the market; if a cooperative has difficulties in honoring its debts with the social banks, the buyers are in solidarity with the social banks; if the certifiers or social banks certify or provide credit to a cooperative without investigating the organizational functioning of the cooperative, or without verifying if the organic coffee really is organic, no one complains, no one sees that those actions are damaging for the cooperative: there is no loyalty to the producers families, the members of the cooperatives. Cooperatives would not fall into these mechanisms if their members really acted as members, if their organs really functioned, and if their staff and organs responded to the principles of cooperativism. The involution of FT also happens due to the action of a small elite who, behind the backs of the cooperatives and the FT system, have been taking over the cooperatives and FT.
Seen from the region, the second tier cooperatives concentrate investments thanks in good part to the premiums, quality differentials, cooperative premiums and profits. They are the door to certifications, banks, markets and FT organizations; to information and external relations; and they are the ones who have what the organizations want: reports, records, meeting minutes, information. Seen from the perspective of the entire FT chain, an iron circle exists among the second tier cooperative, the buyers, certifiers, and social banking sectors. Historically the patron and the foreman used to live in the same area as the peasants; that proximity created more vertical control (from patron to the foreman, and from the foreman to the peasant) and kept the peasant families from taking advantage, like paying with less product or working less than planned. The patron kept control over the foreman through informal rules and through the knowledge of what was happening in the terrain; thus he was able to keep the foreman from taking advantage in his favor. Since the decade of the 1980s this structure became globalized: in FT the equivalent of the foreman is the administrative structure. They manipulate the chain because the “new patron” of FT is geographically far away, and because the chain is infested with formalities and does not know the local reality. A constant in the new structure has been the fact that the peasants (members of the cooperatives) continue to be excluded from this structure, and at the same time reproduce this structure. This structure is a historical institutionality of patron client relations which says: “the peasant has no right to ask for information; the patron is the owner and it is his right to not share information.” The FT structure intensifies this institutionality: to the eyes of the member families, the management structure, and behind that structure the FT organizations, appear to be the patrons that have the right to not provide information. And in the light of these patrons, the members appear to be ignorant or incapable of improving the quality and productivity of their coffee. This reminds us that historically peasant families have lacked strategic allies. Organizations have come in to use them: some came to form communal banks and ended up creating their own banks and financing large producers who have been dispossessing small producers of their resources. Other organizations arrived to sell products with the peasant families, and then consolidated that intermediation, left the peasant families as providers of products. And others came in to swell the rants of guerrillas and soldiers, who, after toppling dictators, left them abandoned to their own fate. Under these conditions the first tier cooperative were not able to have an influence on the second tier cooperatives. If they tried, they faced a wall: “FT and the social banks say that you cannot replace me, because my signature is on the contracts”; if there a manager who is a favorite of FT is changed, they say, “if you change the manager, we are not going to buy your coffee” – FT “encourages the buyers to commit for the long term, which tends to prioritize the role of the technical staff, because they stay longer than the elected leaders” (Taylor et al, 2005: 203). If committed scholars seek information from the FT organizations, the response is, “we only provide information to the cooperatives” – understood as the small group that manipulates the mechanisms and keeps the leaders and members from knowing the financial and commercial reports. This type of transnational collusion is what has emptied most of the first tier agricultural cooperatives of their content. Most of them no longer provide savings and loan services, some are not even collectors of the coffee harvest. Their boards do not meet monthly, even though “minutes” of monthly meetings do appear. Their members do not know what decisions are made in their cooperatives. The notion has become internalized that the motivation for being a member of a cooperative is only financial and that you have to depend on the patron to receive favors (loans, projects). The FT movement and cooperativism are public goods of humanity and their role should be contributing to equity and democracy in our societies. Both emerged as alternative movements, but slowly have tended to be an expression of the “iron law of oligarchy” (Michels, 1915). The difficulty then was mediation as a producer of inequality, and the challenge has been doing away with usury and accessing markets through a transnational alliance. Nevertheless, if we calculate the injustice through costs, weighing, dry mill yields, not getting premiums for fair trade, organic, nor quality, donated projects… The large amount of producer families who are impoverished does not surprise us, nor the small amount of families who get out of poverty. The system of injustice is like a spider´s web, it traps the weakest and leaves them at the mercy of the large spider of capitalism. The paradox is that this FT structure would be reinforcing that mediation that dispossesses the peasant families of their cooperatives and worsening the inequality. Taylor et al (200) identified the problem of FT in its governance structure, tensions between the democratically elected bodies with leadership rotation, and the continuity of the technical staff in the organizations, and therefore suggest monitoring and auditing from FT. Valkila (200) argues, in the case of organic coffee, that the most marginalized producers with low productivity are trapped in poverty under the organic FT system. In this article we follow the direction of Taylor et al (2005) about governance in the FT structure, which in the last 7 years has become a challenge; we coincide with the findings of Valkila (2009) and we believe that it is explained in the whole FT network. So we find that FT is an expression of an organizational problem in the whole FT network, a governance structure absorbed by the conventional market. Within this framework quality coffee and organic coffee do not receive differentiated prices for the producer families, nor do they make a difference in terms of the unjust conventional market, the benefits of FT have been captured by glocal mediation, and that FT structure tends to worsen the most despotic power relations of rural society. How has this happened? A small group has been becoming aware of FT and has been capable of manipulating it to their own benefit. From the member, to the president, manager, inspector, sellers of coffee, up to the consumer of coffee, all act in good will. It is the system expressed in mechanisms that make the inequality and poverty worse, and that institutionality is embedded in informal rules that respond to a social order of exclusion and controls tons of formal rules. That institutionality operates in accordance with the ideas of the “rational individual”, fordism, the hacienda and has a hierarchical organizational character, from which they reduce the political to an administrative formality, make the business side wipe out the associative side in the cooperatives, and erase the “fair” in FT. This system for two decades now has been globalized, capable of producing an involution of FT. When that system operates, it is an expression of the saying: “in open treasure, even the just sin.” Under these conditions, whatever model, even direct-trade which has emerged in recent years is – and will be – absorbed. Why recover fair trade? We are coming to understand the problems and the consequences of FT and commercial mediation. We are living a phase of scarcity of external resources that makes it difficult to continue covering the injustices in FT, and makes the members ask about the FT and organic premiums, the premium for quality coffee, the weighing, APO-APS conversion rates, the cost of certification… Consumers are also beginning to ask. The involution of FT can be a “door” that closes, and at the same time it can be a “window” that opens. Why rescue fair trade? The more differentiated a product is, the more the cooperative movement is needed (with transparency and effective bodies) and the whole FT network (with transparency, combining institutionality and movement, results and processes) and the more families can improve their lives (generating more income, learning more, cooperating more and contributing more to their cooperative). The more democratic the FT network is, the more possibilities there are for transforming rural societies, reducing poverty and inequality. How can FT be rescued? 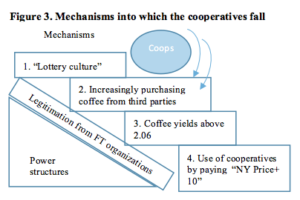 Donovan et al (2017), using the value chain approach, and interviews of leaders in the coffee, vegetable and milk chains, suggests that this approach be broadly applied for greater collaboration among the actors outside and inside the chain. Nelson (2017), summarizing studies on the impact of FT, states that FT needs “to learn about its effectiveness in different contexts and places of the value chain to find ways of responding in a flexible way and adapted to local conditions and their assumptions.” Meyer (2017), studying community banks in Brazil, conceives them as community social enterprises that create and govern the commons as response to the deficiencies of market and state institutions, from where we could understand the FT chain as a chain of community social enterprises. Based on these authors and taking more concrete steps, we talk about two modalities, and within this framework we list some changes. First, attracting groups of people that would build connections between rural society and the FT system, making the first tier cooperatives really be cooperatives. Mendoza (2016), studying the contribution of cooperatives to peace in Central America, found that there were hundreds of religious and lay people between 1950 and 1980 who, inspired by the changes happening in the church back then, connected with rural societies and built bridges between a good part of that society and organizations in favor of change. Observing that a good part of that rural society, expelled to the highest mountains of Central America, currently has the better quality coffee in the region, it is important that groups of people like those religious and lay people mentioned above return to the countryside, this time to decisively contribute to the reinvention of FT. This is possible if we build connections with the movement side of the Church that is now starting to open up, and with universities so that the students might be trained with a missionary sense to build those bridges – between the FT system and that part of rural society that historically has been destitute. Secondly, building bridges with immersions organized in the south and in the north (Mendoza, 2015). So that the generation of professionals that work in the FT system, who did not live the experience of the first generation in dealing with unfair trade and families that organized into cooperatives, might have immersion opportunities (living three weeks with member families) to become aware of the reality. Immersion does not automatically awaken awareness, but it does provide the conditions for it to happen. Or, just as religious mediation made it possible for the religious to leave their chapels and look for God among the poorest, thus transforming religious mediation itself, so also the mediation of FT can make it possible for its members to seek and build justice among the poorest, actions through which they might transform FT mediation itself. Under these two practices we list some possible changes. That the members turn in more than 32% of their production to the cooperatives: 40, 60% or more. That the certifiers, buyers, social banks and cooperatives might put their audits, data on organic certification, sale prices as stipulated in the contracts, costs of processing the coffee, yields in the dry mill (degree of moisture, hullingm imperfect coffee and quality of the cup), amounts of loans made to clients on a webpage. That the first tier cooperatives might develop savings and loan services, increase their own equity, be responsible for collecting the coffee harvest and measuring its moisture content with appropriate technology and decide on 100% of the use of the FT and organic premiums. That rotation of leaders and managers in their posts be a reality. That the second tier cooperatives specialize in coffee processing to the extent that their income and costs allow them. That the FT and organic certification be done directly with the first tier cooperatives. With this model, producers will recover trust and improve the quality of their coffee, and consumers will appreciate drinking quality and organic coffee, knowing that they are contributing to peasant families and the mitigation of climate change. Corruption will be limited. The dignity and importance that managers, technicians and cooperative leaders have will be recovered. The social banks will recover their loans with less cost. Bastiaensen, J., Merlet, P., Huybrechs, F., Van Hecken, G., Flores, S., Mendoza, R., Stiel, De Herdt, T. y Crasps. 2015. “Agencia en territorios humanos rurales: una perspectiva socio-constructivista” en: Bastiaensen, J., Merlet, P. y Flores, S., Rutas de desarrollo en territorios humanos. Las dinámicas de la vía láctea en Nicaragua. Managua: UCA Publicaciones. Clairmonte, F. & Cavanagh, J. (1988). Merchants of Drink. Transnational control of world beverages. Malaysia: Third World Network. Chemonics International Inc. & Star Cuppers de Centroamérica (2005). Star Cupper Manual: Regional Quality Coffee Program http://pdf.usaid.gov/pdf_docs/PNADG945.pdf. Donovan, J. Poole N. (2017) “Partnerships in Fairtrade coffee: a close-up look at how buyers and NGOs build supply capacity in Nicaragua”, in: Nelson, V. (ed), The Impact of Fairtrade. England: Practical Action Publishing. Hirschman, A., 1970, exit, voice, and loyalty. Cambridge: Harvard University Press. Long, N. (2001) Development Sociology: actor perspectives, Routledge, London. Mendoza, R. (1996). The structure of coffee market: A case to illustrate international trade and its impact on developing countries. (Mphil. Thesis). Brighton: IDS. Mendoza, R. (2003). La paradoja del café: el gran negocio mundial y la gran crisis campesina. Managua: Nitlapan-UCA. Mendoza, R. & Bastiaensen, J. (2002). 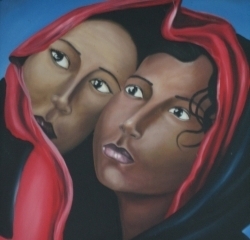 “Fair trade and the coffee crisis in the Nicaraguan Segovias”. In: Small Enterprise Development, 14.2. Mendoza, R. (coord. ), Fernández, E., Rodríguez, F.M., Zamor, R. & Delmelle, G. (2011). Estudio de línea de base del proyecto acceso a mercados de café diferenciados. Managua: Funica. Mendoza, R., Gutiérrez, M.E., Preza, M. y Fernandez, E. 2012. “Las cooperativas de café de Nicaragua: ¿Disputando el capital del café a las grandes empresas?” en: Cuadernillo 13. Mendoza, R., Fernández, E. & Kuhnekath, K. (2013). “¿Institución patrón-dependiente o indeterminación social? Genealogía crítica del sistema de habilitación en el café”. En: Ensayos sobre Economía Cafetera. Revista de la Federación Nacional de Cafeteros de Colombia, No. 29. Mendoza, R. (2016b). Cooperativismo, medio para tejer una paz exigente en un espacio de ‘coonflictos’. Ecuador. Ponencia para el Encuentro de Investigadores sobre Cooperativismo. Meyer, C., 2017. Building New Commons on Community Institutions: The Case of Self-Managed Microfinance Organizations. Paper presented in microfinance conference. UK. Nelson, V. (2017) “Introduction: the impact of the fair trade” in: Nelson, V. (2017) The impact of fair trade. England: Practical Action Publishing. Pelupessy, W. (1999). “Coffee in Cote d’Ivoire and Costa Rica: National and Global Aspects of Competitiveness”. in: H.L. van der Laan, T. Dijkstra, & A. van Tilburg (eds). Agricultural Marketing in Tropical Africa: Contributions from the Netherlands. Leiden, African Studies Centre Research Series, 15. Polanyi, K., 2001, The Great Transformation: The Political and Economic Origins of Our Time. Second Edition. Google Books. Reardon, Th., Henson, S. and Berdegué, J. (2007). “‘Proactive fast-tracking’ diffusion of supermarkets in developing countries: implications for market institutions and trade” in: Journal of Economic Geography 7.4 399-431. Taylor, P., Murray, D. and Reynolds, L. (2005). “Keeping Trade Fair: Governance Challenges in the Fair Trade Coffee Initiative” in: Sustainable Development Journal 13.3: 199–208. Wheelock, J. (1975). Imperialismo y dictadura: Crisis de una formación social. México: Siglo XXI. Valkila, J. (2014). Fair Trade coffee in Nicaragua. Impacts of certified production on cooperatives, farmers and laborers. Helsinki University. Ph.D tesis. Wickizer, V. (1943). The world coffee economy. California: Stanford University. Collaborator of the Winds of Peace Foundation (US) and associate researcher of the Institute for Development Policies and Management (IOB) and member of the COSERPROSS RL Cooperative. Professor of the Institute for Development Policies and Management (IOB), University of Antwerp, Belgium and associate researcher of the Nitlapan Institute, Central American University (UCA), Nicaragua. Multatuli (pseudonym of the Dutch novelist and ex colonial administrator, Eduard Douwes Dekker) wrote a novel in 1860 with that title (Max Havelaar) where the protagonist with that name resigns from his position as colonial administrator in Java (Indonesia) over colonial abuse, forcing the producers to plant coffee and sugar cane instead of basic products, and imposing a tax system on them that produced famine. The book created awareness about the fact that the wealth that was enjoyed in Europe was the product of the suffering of the population in other parts of the world. This in turn gave rise to an ethical policy that consisted in returning that wealth, by educating some native groups loyal to the colonial government. 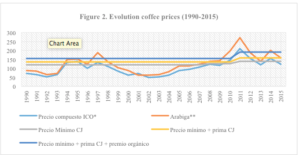 We have followed the issue of coffee since desde 1996 (see: Mendoza 1996, 2003, 2012a and 2012b; Mendoza & Bastiaensen, 2002). Subsidies covering costs of organizations is a generalized practice in Latin America: See the Ceibo case in Bolivia (Bebbington, et al 1996) and that of Soppexcca in Nicaragua (Donovan & Poole, 2017). Hirschman (1970) proposes the concept of exit, voice and loyalty. If there is a possibility or protesting (having a voice) there is a possibility of loyalty and the risks of abandoning the organization can be reduced.